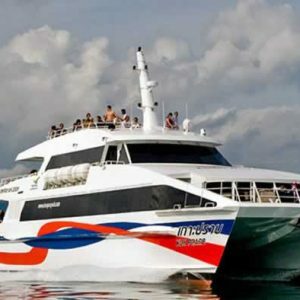 How to Get to Phi Phi Island? The most common way of transport is Phi Phi Ferry trips. You get a Phi Phi Ferry from Ao Nang Krabi, Koh Lanta and Phuket Island. 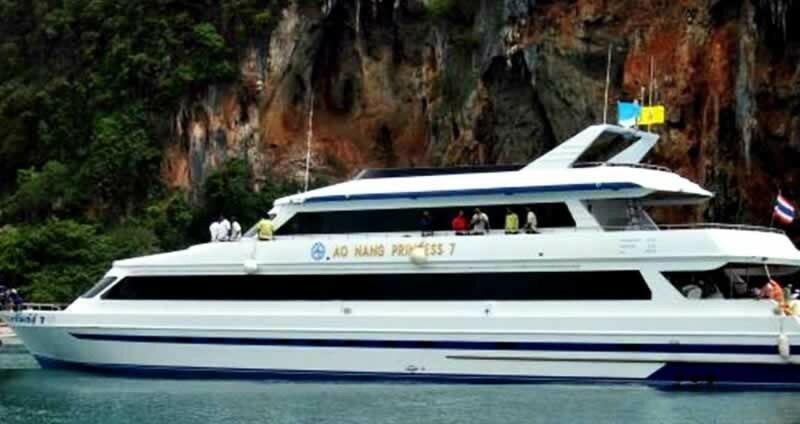 Easy Day Thailand can arrange Phi Phi Ferry Tickets from and to all destinations. 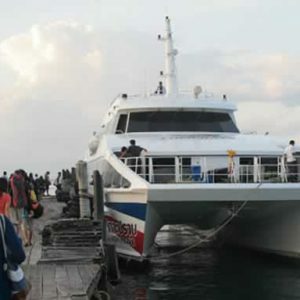 In addition, for those who need to travel at a different time from the scheduled ferries, we can arrange Private Shuttle transfer via Speedboat. 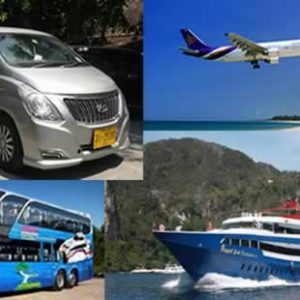 We can also arrange Private Airport Transfers between the airports and the ferry piers in either Phuket or Krabi. For those who have flight landing too late to catch the last daily ferry to Phi Phi Island we can arrange package with overnight accommodation in either Phuket or Krabi. 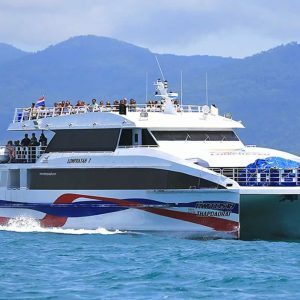 Note: Andaman Wave Master Ferry to Phuket include drop off at Phuket hotels in the main tourist areas. 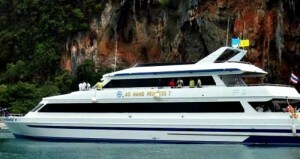 Note: Andaman Wave Master Ferry from Phuket to Phi Phi include pick up at Phuket hotels in the main tourist areas. Tell us where and when you like to go and we send you a Free Quote. Any special requests? Please let us know! Transfers from Phi Phi Island to the Islands in the Gulf of Thailand. Koh Samui, Koh Phangan & Koh Tao. Get on the morning ferry at 09:00 operated by “Chukit Ferry”. You can by the ticket on site or if you like we can do the booking for you as well. You get Off at Ao Nam Mao Pier in Krabi, where a mini bus will pick you up and transfer you to the departure point in Krabi Town. 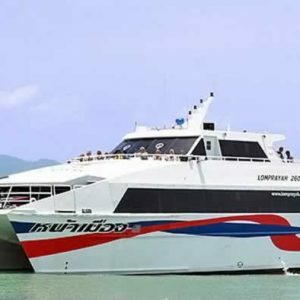 From there by Big Bus to the port in Surathani Town, Final trip will be the high speed ferry from mainland to Samui, Koh Phangan & Koh Tao.